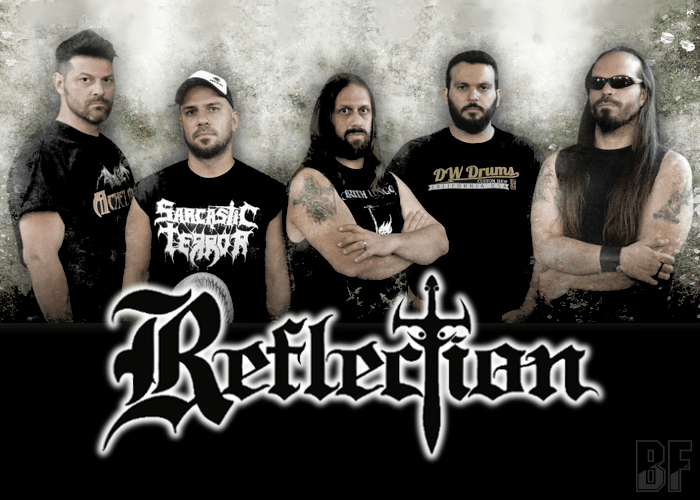 REFLECTION is an Athens based Heavy Metal band from Greece founded in 1992. Since the band founding, the band has been offering Epic/Doom Metal with epic melodies and powerful sounds. They have performed in many live shows as a headline and participated in a big number of festivals, also have joined forces on stage with world renowned acts like Solitude Aeturnus, Tokyo Blade, Brocas Helm, Demon, Paul Di Anno, Wotan and many more. They have released one EP and four albums: ‶The Fire Still Burns″ (1999), “Οdyssey” (2003), “When Shadows Fall” (2008) and “Bleed Babylon Bleed” (2017). 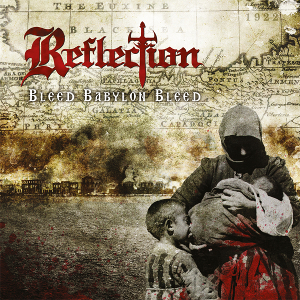 The latest album “Bleed Babylon Bleed” features the guest appearance of Mats Leven (CANDLEMASS), Albert Bell (FORSAKEN) and Kostas Tokas (RELOAD) and was released through Pitch Black Records on April 7th. It’s been nine years since the last release, and now they are back along with a new vocalist. It's a perfect reload to REFLECTION celebrated their 25th anniversary in this year. The band will playing at MODU in Athens today May 6th. For fans of Epic Doom Metal.